The likely vote for secession by south Sudan on January 9 raises questions about whether the two sides will be able to work out viable border arrangements, whether the south can remain politically cohesive and become economically viable, and how the north will handle other separatist movements. Can Sudan Avoid a Return to Civil War in 2011? With a referendum on southern independence scheduled to take place in less than 100 days, concern is rising in the international community about a possible looming disaster in Sudan. But one asset the country has is that none of the major outside players has an interest in destabilizing it. The April elections approach as the country grapples with questions about the referendum, Southern independence, border demarcation, and above all the stability of a Southern state. With President Omar al-Bashir facing an ICC indictment, will Sudan join the community of nations or remain a pariah state characterized by coercive relations between the government and the governed? The January 2005 peace agreement has improved Sudan's standing in the international community, as demonstrated by $6 billion in economic support raised at a donors' conference in Oslo in April 2005. 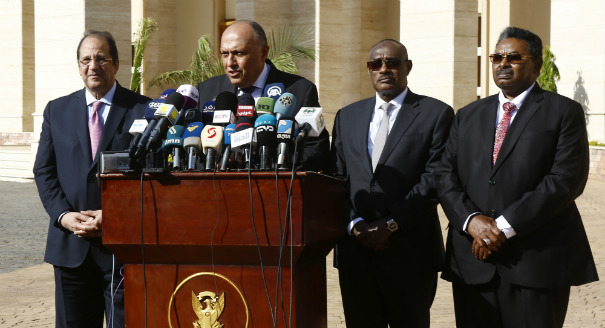 Inside Sudan, however, the agreement has revealed new sources of instability.